As all of you with years (decades??) of IT experience know, users are quick to vocalise any negative experience, but providing positive feedback can be like getting blood from a stone. So it was refreshing to get (unsolicited) positive feedback from users during our latest XenApp project with some users even moving from traditional PCs to thin clients because of the improved performance. One user reported the a process which previously took several hours to run now takes seconds. Wow! So what’s the “secret sauce”? I’ll answer a question with a question: what’s the performance bottleneck in most desktop virtualisation implementations with modern server hardware? With 16+ physical CPU cores and 256+GB RAM modern servers have plenty of horsepower for most desktop virtualisation tasks, but what about storage? Spinning disks are slow. End of story. How about lots of cache on your expensive storage controller? That may help a little, but cache doesn’t do much for the write intensive desktop virtualisation workload. SSD? I do like SSDs and have used local server SSD storage in several project for non-persistent virtual desktops, but there are still limitations. For example, take a blade server capable of handling 120 concurrent XenApp sessions and add mirrored SSD drives. While you will be getting good performance out of the SSDs, you still have 120 users sharing the IOPS of a single SSD. And then there is the issue of the expected life of an SSD with heavy writes. So SSDs are ok, but not a great solution – what is left? 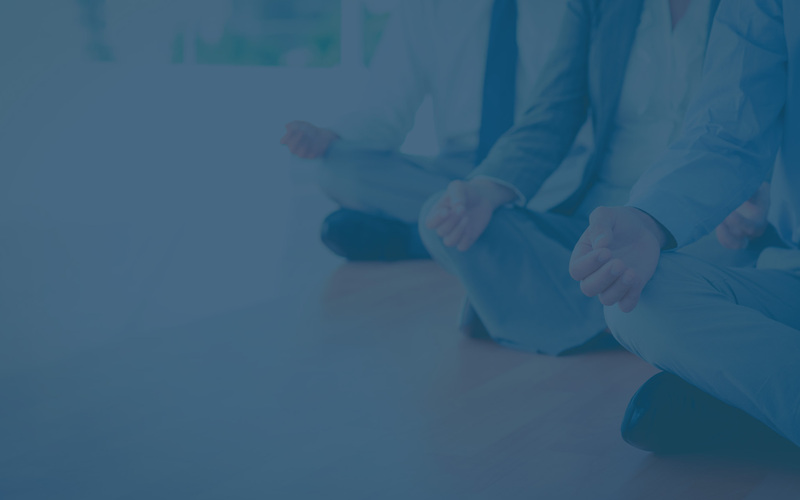 We have turned to Atlantis ILIO to solve this problem for our clients – Atlantis is the “secret sauce”. Atlantis have plenty of info on their website, so I’ll just give you the basics. 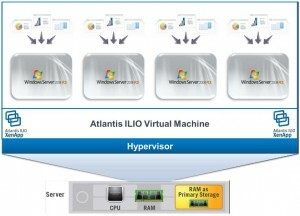 Atlantis ILIO is a virtual appliance which is installed on each host; it takes a chuck of memory and presents that memory as an NFS or iSCSI target to the hypervisor. Your virtual desktops are then created on the ILIO storage repository, in memory! Yes, it’s fast. Very fast. Our testing showed 22,000 IOPS from ILIO – that’s per host, so with the project we just completed the 12 blades running XenApp have 264,000 IOPS available to them, or 176 IOPS for each of the 1500 users. Go ask your friendly SAN salesman for a quote on a SAN which will handle 264,000 IOPS and you’ll have him/her dreaming of a holiday Tahiti and a promotion! There is a whole bunch of great stuff ILIO does to make this a viable option; namely compression and dedup which means you only need about 20-30% of the size of your vDisks to the ILIO RAM disk. I recommend you take a browse of Atlantis’ website and download some of their whilepapers to get familiar with what ILIO can do and how it works.